The BBC said that Go Set A Watchman features Scout, the main character from the To Kill a Mocking, as an adult. This entry was posted in Art, Literature and tagged Go Set a Watchman, Harper Lee, Novels, To Kill a Mockingbird. Bookmark the permalink. It took her long enough! I look forward to reading it. She wrote the book over fifty years ago! There is something about rural settings that are so peaceful. After spending all my adult years in the Northeast, I treasure those few years I spent enjoying the green, green grass of the Southeast. Seeing she wrote it in the mid 1950’s and it was the original source material from which Mockingbird was drawn, would that make it more of a prequel or the simply the rest of the original story? The version I was told was that the book was in either a safe deposit box or a bank vault, and it was wrapped in a manuscript of To Kill a Mockingbird and nobody noticed it for all these years. I don’t know this for a fact, but one must imagine that Harper Lee — we call her Nelle—just never told anybody about the book and then forgot it existed. Her lawyer, Tonja Carter, who is also Nelle’s very close friend, was apparently looking through this safety deposit box and found [Go Set a Watchman]. I guess she then went to her friend said what it is this? Nelle said, and this is all public knowledge, that her editor at the time at Lippincott, the original publisher of To Kill a Mockingbird, said to her this isn’t what you want to write; you want to write something about Scout when she was a girl. So Nelle went back and wrote a new book: To Kill a Mockingbird. If memory serves, I think Mrs. King was killed in 1974. I remember this because her death took place shortly before Nixon resigned. It got lost in the news cycles surrounding Watergate and was, in my opinion, the greater tragedy. MONROEVILLE, Ala. (CBS Atlanta/AP) — Hometown friends and fans of “To Kill A Mockingbird” author Harper Lee are struggling to reconcile a publisher’s sensational announcement — that her decades-old manuscript for a sequel had been rediscovered and will be released — with the image of the elderly writer at her sister’s recent funeral. Suspicion has emerged about the timing of publisher HarperCollins’ announcement Tuesday that her second novel, “Go Set a Watchman” is slated to be released this summer. 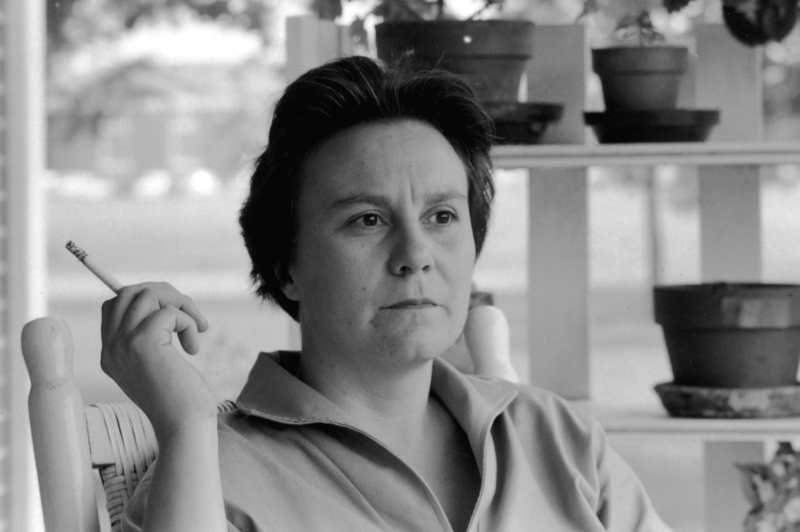 Four people who knew Lee to varying degrees and live in or just outside the town where Lee has lived most of her life and on which she based Maycomb — the fictional setting of her seminal 1960 novel “To Kill a Mockingbird” — told AL.com Wednesday they believe Lee’s wishes for her career are not being respected. I don’t think she agreed to do it. I think it’s her attorney being greedy. Here’s an excerpt from a BBC article that was posted today. Draw your own conclusion. The new book, entitled Go Set A Watchman, is her first since 1960’s To Kill A Mockingbird, which sold more than 40m copies around the world. But some have suggested the reclusive 88-year-old is being manipulated into releasing the decades-old manuscript. But some were sceptical about the timing of the announcement, which came months after the death of Lee’s sister, Alice, a lawyer who had shielded her younger sibling from the outside world. Harper, who resides in an assisted living facility in Alabama, also suffered a stroke in 2007. 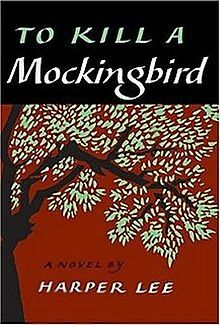 Writer Madeleine Davies also questioned whether the book was “willingly given”, while novelist Tracy Chevalier told the BBC Radio 4’s Today programme she was “just a little concerned that Harper Lee may have been pressured into this”. This article from July of 2014 sheds further light on the “shady” dealings of Tonja Carter. Imagine my shock when I began to read and get clear about the statement sent from BBL & Carter’s office. I had made no statement and could not [see] how that would get started. When I questioned Tonja I learned that without my knowledge she had typed out the statement, carried it to The Meadows and had Nelle Harper sign it. She brought it back to the office and emailed it to Mary Murphy and Hugh Van Dusen. Poor Nelle Harper can’t see and can’t hear and will sign anything put before her by any one in whom she has confidence. Now she has no memory of the incident. I am humiliated, embarrassed and upset about the suggestion of lack of integrity at my office. The BBC never spoke with Lee. For all we know that statement was probably penned by Carter. I wonder if the Alabama State Bar will end up investigating Carter. So now what, HarperCollins? You surely believed that Harper Lee fans would be overjoyed when you announced this week you would publish the reclusive writer’s long-forgotten first novel, Go Set a Watchman, in July 2015. And some were, surely! But others were worried: Worried about whether Lee really wanted to release this book. Worried about a lawyer who, some neighbors think, is not treating Lee’s work the way she ought to. Worried about an interview with Lee’s editor Hugh Van Dusen, who appeared not to know where the book had come from or whether it had been, or would be, edited. In response to these concerns, HarperCollins, you issued a second press release: “I’m alive and kicking and happy as hell with the reactions of [sic] Watchman,” Lee is said to have said. This second press release feels no more reassuring than the first—neither in the fact that, like the first, it conveyed Lee’s words via her lawyer, Tonja Carter, nor that those words were grammatically incorrect. At this point, the circumstances around the release of this novel are so sketchy, the rollout so tinny with false coincidence, that what HarperCollins needs to do is clear: Withdraw Watchman. Don’t publish the book at all. “Increasingly blind and deaf,” according to many, Lee suffered a stroke in 2007 that forced her to move to an assisted living facility. Several months later, she sued her agent for stealing royalties from To Kill a Mockingbird, and, in 2011, declared that the biographer Marja Mills had penned an “unauthorized” book about her. (Mills insists she had Lee’s blessing and cooperation.) Lee’s protective older sister Alice died last year at the age of 103. And now, 60 years after stashing it in a box and stowing it away, the notoriously shy author decides to send an apparently unedited novel into the world? MONROEVILLE, Ala. — One morning late last summer, Tonja B. Carter was doing some legal work for her prized client, Harper Lee, when she found herself thumbing through an old manuscript of what she assumed was “To Kill a Mockingbird.” The characters were familiar, as they would be to millions of readers — the crusading lawyer, Atticus Finch, and his feisty daughter, Scout. But the passages were different. Atticus was much older. Scout was grown up. The story unfolded in Alabama during the racial turmoil of the 1950s, not the Depression of the 1930s. And as word of the new book spread in her hometown, the fog that long shrouded the enigmatic, publicity-shy author — known to most as Nelle — has only deepened. Others close to Ms. Lee, like two friends who visited her on Saturday at the Meadows, attest to her excitement over the release of the novel. I sincerely think that the Alabama State Bar should institute proceedings to make sure that Carter is actually representing the wishes of Harper Lee and not committing elder abuse via the power of attorney. I truly sense a greedy attorney screwing around with an iconic legacy.